HME began as a local medical equipment rental company, and during the past 26 years have grown to become one of the largest independent dealers of Mobility and Home Medical Equipment in the Lower Mainland. With over 65 staff and 26 years in business HME is fully active in Rehab Sales and Consultations, Stairlifts and Home Modifications – the only Diamond level dealer in Canada with Bruno, and the largest independent dealer in Western Canada. HME is committed to the long term training and education of the home medical industry professionals. We would like to assists patients, families, and trained medical professionals such as therapists, nurses, and others in making informed decisions. 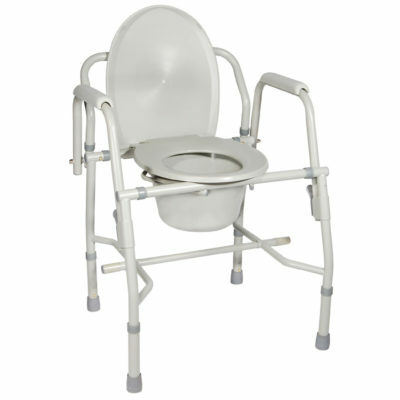 Call 604-821-0075 or request details about the Deluxe Steel Drop-Arm Commode using the form below. 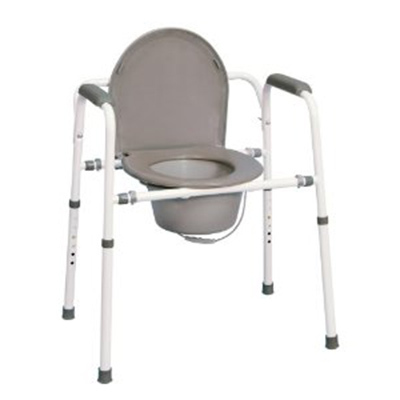 Question about the Deluxe Steel Drop-Arm Commode ? In order to provide HME clients with the best service, HME will provide parts and services for products only purchased from HME. If you did not purchase from HME contact the company you purchased your product from, which may still be under warranty. Please note that HME only sells to clients within Province of BC, Canada. I understand that HME does not ship or service products outside of their service area. Drive Medical is one of the fastest growing global distributors of durable medical equipment. The Company markets and distributes its products to customers located throughout North America, Europe, Central America, South America, the Middle East and Asia. Drive exists to enhance the quality of life of the people we touch. Are you a therapist or medical professional needing information on products or to request a product trial from one of our dedicated full time Rehab and Seating Consultants? Please fill in our online request form today and we will have a Consultant reach out directly to you. ENTER YOUR EMAIL to receive discounts, promotions and featured medical equipment through our newsletter. Copyright © 2019 HealthLinc Medical Equipment Ltd.